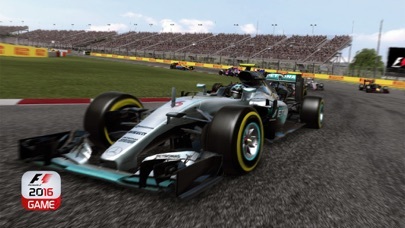 •	F1 2016 is a stunning mobile racing game that puts players into the race seat of their FORMULA ONE™ heroes in a full season, single race and time trial on any of the 21 official circuits from the 2016 season. •	Experience a high quality Universal Purchase app which runs on iPhone, iPad and Apple TV in one single purchase, without In-App Purchases. •	Take on the world’s greatest drivers including MERCEDES AMG PETRONAS Formula One Team’s Lewis Hamilton, Scuderia Ferrari’s Sebastian Vettel, Red Bull Racing’s Max Verstappen, McLaren-Honda’s Fernando Alonso and Sahara Force India F1 Team’s Sergio Perez and many more, with 22 of the world’s greatest drivers and the 11 teams from the 2016 season represented. •	F1 2016 includes the full FORMULA ONE circuit roster of all 21 races from around the globe; including the brand new 2016 FORMULA 1 GRAND PRIX OF EUROPE held in the stunning city of Baku. The 2016 season also sees the return of the iconic Hockenheimring, with the GERMAN GRAND PRIX back after a year absence for the FORMULA 1 GROSSER PREIS VON DEUTSCHLAND 2016. 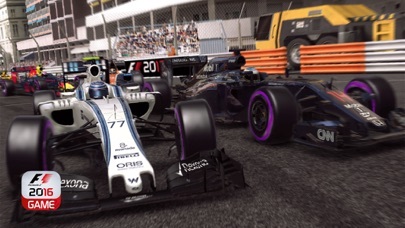 •	A visually stunning game for all iOS 9 and 10 users, experience enhanced F1 gaming thanks to the cutting edge technology of the A10 chip, combined with Metal, on the newest Apple devices which combine to make the gameplay even faster and smoother. This allows the game to render 1.4 million polygons on-screen while also applying an array of console-level post-processing effects and multi-sampling anti-aliasing. •	These effects include depth of field, motion blur, vignette, chromatic aberration and colour grading. 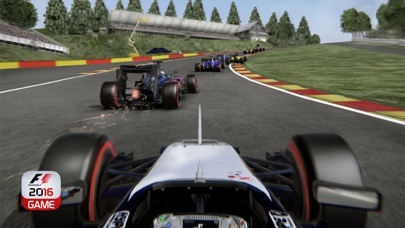 This all adds up to provide an unparalleled level of visual fidelity and immersion, never before seen within a FORMULA 1 videogame on any mobile device. •	Beyond visual quality, the game also utilises the iPhone 7’s Taptic engine to provide haptic feedback, while delivering stereo audio (driven by the 3D environment) through the iPhone 7’s dual-speaker setup. 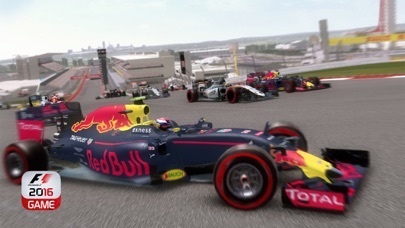 •	For gaming on the go, F1 2016 offers unprecedented flexibility and game modes, with Season Mode, where you can compete through the full 2016 season in any order you want, and also Custom Season, for the first time ever, where you choose the length and included tracks to craft your perfect mini championship. Added to this are both Quick Race and the longer Race Weekend options, which include additional Practice and Qualifying events, as well as the challenge of setting the fastest times possible and competing against the global leaderboards in Time Trial or Weekly Event. 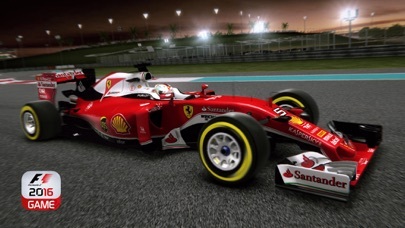 •	Experience the thrill of F1 with the simple yet deep car handling model for full player control – with four control options including tilt and touch, a variety of steering assists and sensitivity, braking assists and camera tilt, all fine-tuned after years of making award-winning and best-selling F1 games. •	Compete in time limited events with a new challenge every week. •	Battle to top the leaderboards, and even show off your records on Facebook. •	Please ensure that you have at least 2.67 GB of free space on your device. •	Contains direct links to the internet and social networking sites intended for an audience over 13. 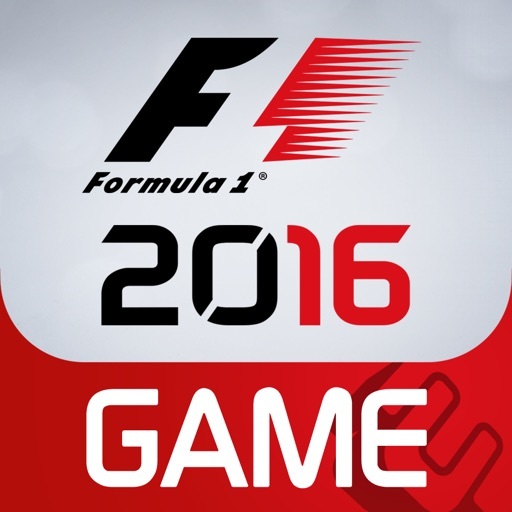 •	F1 2016 requires iOS 9 onwards, 1GB RAM minimum, Metal devices.